B.C.R. 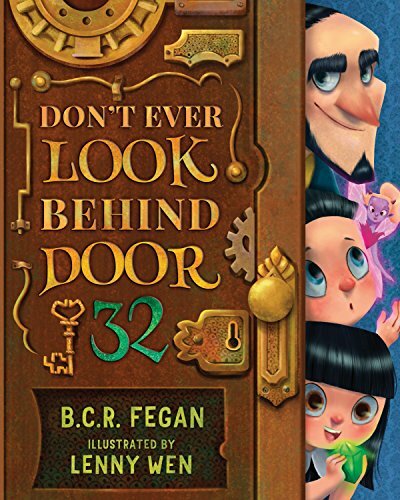 Fegan’s Don’t Ever Look Behind Door 32 takes young readers on a journey through the magical Hotel of Hoo where Mr. Nicholas Noo gives his first-ever guests constant reminders to avoid, at all costs, door number 32. Behind each door leading up to 32, guests are treated to many surprises, some creepy and some quite humorous. Entertaining rhymes help light the way through the castle-like establishment as both the readers and the guests of the hotel meet and greet a bevy of characters who have taken up residence behind the first 31 doors. What lies behind Door 32? I’ll never tell! I really love Fegan’s books for young readers. Lenny Wen, illustrator, creates some of the most vivid and striking images you will find in children’s literature. 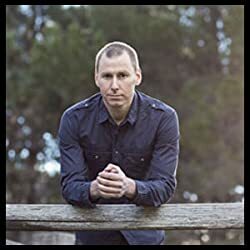 Wen gives his characters amazingly expressive eyes whether they are screaming in terror at ghosts cooking roasts, doing a double-take at a paintbrush-wielding elf, sneaking peeks at tea-drinking monsters, or (my favorite) marveling at miniature giants. This particular tale takes on a Halloween feel and serves as a fabulous book to read aloud during October or as part of a monster-themed unit for elementary grades. As a third grade teacher, I can see using this book with my students to study rhyme, compare and contrast the findings behind each door, or as an inspiring writing prompt. The possibilities are as endless as the number of creatures housed behind each of the doors in the Hotel of Hoo. Fegan does an excellent job of periodically reminding the reader that Door 32 is somewhat of an enigma and, possibly, the most feared of all doors in the Hotel of Hoo. Suspense builds throughout the book as the second-person narrative draws young readers into the different rooms, page by page, and treats them to a fantastic assortment of zombies, ghosts, wizards, and many more creatures of lore. Fegan and Wen are, book by book, mastering the kiddie lit genre. With each successive book, their plots and accompanying illustrations take on more depth and even more vibrant characters. From the very first pages, this one has the feel of a classic in-the-making.